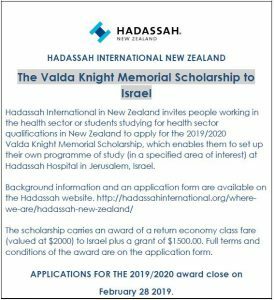 At Hadassah New Zealand, it is our privilege to support the Hadassah Medical Organisation, globally renowned for its humanitarian policy of treating all patients, both within the Middle East and around the world, with high-quality compassionate care, regardless of ethnicity or religion. Transcending politics, religion and geographical boundaries to enhance world health and wellbeing, the Hadassah Medical Centre was nominated for a Nobel Peace Prize. In 2012, the Information Desk and Area on the ground floor of the new Sarah Wetsman Davidson Tower of Healing, currently under construction at Hadassah Hospital, Ein Kerem, was proudly dedicated to the memory of the late Lady Marion Davis. 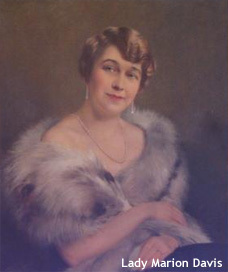 In 2008, Guardian Trust, a New Zealand charitable trust, administered by a leading New Zealand wealth management and trustee company, made a very generous grant to Hadassah of US$250,000 on behalf of the Lady Marion Davis Memorial (Hospitals) Foundation trust, to be paid over 5 years. Guardian Trust, has given many grants to hospitals in New Zealand and Israel. They are one of the country’s pre-eminent provider of philanthropic services, with more charitable trusts and assets under management than any other trustee company. This gives them a long history of structuring and honouring clients’ philanthropic intentions through charitable trusts. As one of New Zealand’s foremost trustee companies, Guardian Trust specialise in asset management and protection, providing wide-ranging advice and expertise in philanthropy, estate planning and administration, financial planning and personal and corporate trusts. In May 2014 The Guardian Trust, trustees of the Lady Marion Davis Hospitals Foundation Trust accepted our application and generously granted a $US25,000 donation as the first of 5 annual installments towards the new Paediatric Patient Acute Care Unit (PACU) Nurses’ Station which will bear Lady Marion Davis’ name in the Paediatric Surgery Department in the Sarah Wetsman Davison Tower at Hadassah Hospital. Naomi Meltzer was the 2014 winner of the Valda Knight Memorial Scholarship (VKMS). Naomi is the only Optometrist specialising in Low Vision in New Zealand. Read more…. The Hadassah International New Zealand committee Auckland branch comprises Jennifer Leiman (president), Fiona Ross (treasurer), Shirley Fiddell (secretary), and committee members Lisa Dorushkin, Mary-Lou Stiassny, and Dian Ross. Our Wellington president is Sam Treister. Please feel free to contact any committee member at any time to discuss your support or any of our projects. 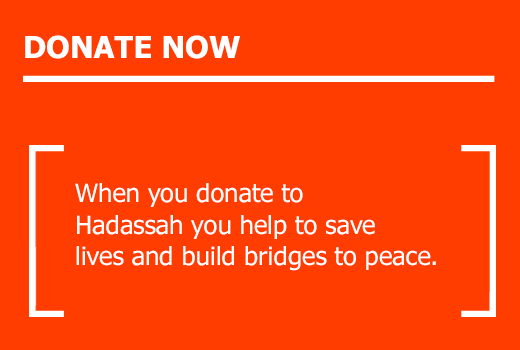 We consider it our privilege to support the Hadassah Medical Organisation, globally renowned for its humanitarian policy of treating all patients, both within the Middle East and around the world, with high-quality compassionate care, regardless of ethnicity or religion. We would love you to be a Hadassah New Zealand member – either annually or for life! Please email president_newzealand@hadassah.org to sign up!